Cool... love those eyes. Stumbled. 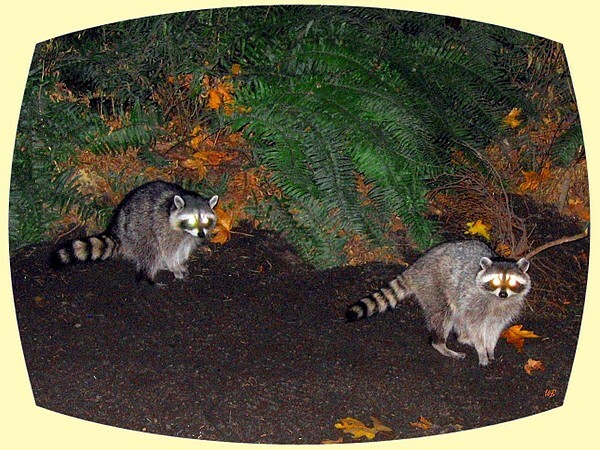 A pair of rascally raccoons in beautiful Stanley Park, Vancouver, British Columbia, Canada. Normally I would have adjusted the luminous eyes, but felt they suited the raccoons in this night shot. 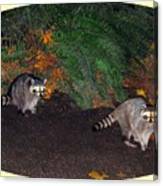 "Stanley Park Rascals"